Leymah Gbowee is a Liberian peace activist who was responsible for leading the Women for Liberia Mass Action for Peace which helped end the Liberian Civil War in 2003. She, along with Ellen Johnson Sirleaf and Tawwakul Karman were awarded the 2011 Nobel Peace Prize “for their non-violent struggle for the safety of women and for women’s rights to full participation in peace-building work.” Gbowee was living with her family in Liberia’s capital, Monrovia, when the First Liberian Civil War erupted. When asked about her courage to become a peace activist, Leymah explained: “When you’ve lived true fear for so long, you have nothing to be afraid of. I tell people I was 17 when the war started in Liberia. I was 31 when we started protesting. I have taken enough dosage of fear that I have gotten immune to fear.” Responding to the second civil war which broke out in 1999, Leymah mobilized an interreligious coalition of Christian and Muslim women and organized the Women of Liberia Mass Action for Peace movement. The movement pressured President Charles Taylor into exile, and led to the election of Ellen Johnson Sirleaf as Africa’s first female head of state. In 2007, Leymah earned a Master’s degree in Conflict Transformation from Eastern Mennonite University in the United States. She is a founding member and former coordinator for Women in Peacebuilding/West African Network for Peacebuilding (WIPNET/WANEP). She also co-founded the Women Peace and Security Network Africa (WIPSEN-Africa) . Concerned with the vulnerability of women in war-torn societies, she served as a member of both the African Feminist Forum and the African Women’s Leadership Network on Sexual and Reproductive Rights, and as a commissioner-designate for the Liberia Truth and Reconciliation Commission. In her current position as President of Gbowee Peace Foundation Africa, Leymah pushes for greater inclusion of women as leaders and agents of change in Africa by providing educational and leadership opportunities to girls, women and youth in West Africa. 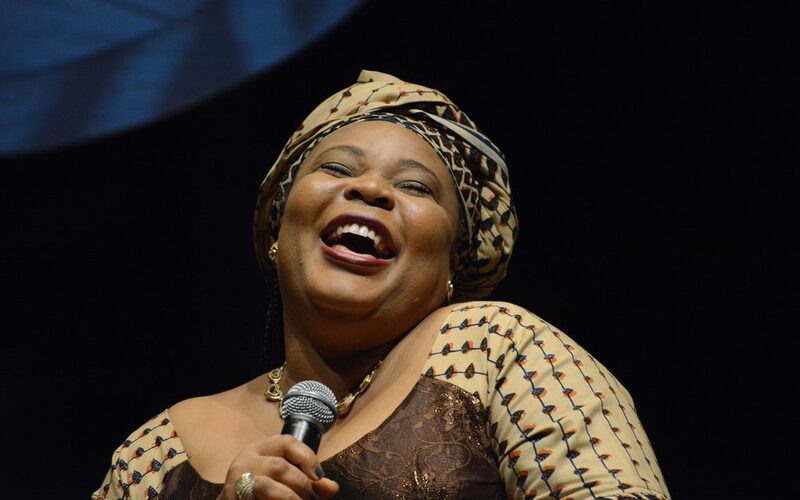 Gbowee has received honorary degrees from Rhodes University in South Africa, the University of Alberta in Canada, Polytechnic University in Mozambique, and University of Dundee in Scotland. She was named a Distinguished Fellow in Social Justice, receiving the Barnard College Medal of Distinction in 2013.